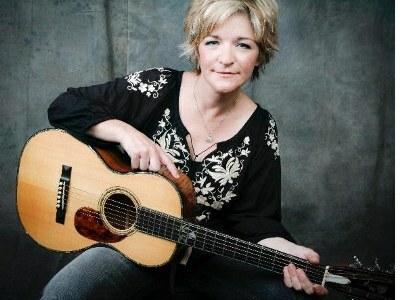 Bell Buckle, TN -- SPBGMA award nominee Valerie Smith and Liberty Pike are scheduled to perform at the McReynolds Memorial Concert with Del McCoury, McReynolds Tradition, The Whites, Jessie McReynolds, Retro Sisters, Stetson & Cia...Tonight, Thursday, February 2, 2012. The benefit will take place at the Texas Troubadour Theater, in Nashville, Tennessee, tonight, February 2, 2012. The theater will host the 12th Annual McReynolds Memorial Concert, all proceeds benefit the National Multiple Sclerosis Society in honor of Keith McReynolds. The Texas Troubadour is located at 2416 Music Valley Drive, Nashville, TN 37214. Others performing include The Del McCoury Band, Stetson & Cia, Jesse McReynolds, The Told Heart sisters, The Whites, Retro & Smiling, Mike Scott and The McReynolds Tradition. The even will be emceed by Nashville's Eddie Stubbs and Justin Bradford. Valerie's passion remains in finishing her fun vision of her love for bluegrass through the project "Blame It On The Bluegrass, Volume 2, she will soon have a website just for this piece. The International Bluegrass Museum will always be something that she continues to respect and want to be a part of! There will be several versions of this project with many guest stars and it will become an annual event not just a project. Speaking of the highly successful, charted project, "Blame It On The Bluegrass", Valerie has been included in the nominees for "Traditional Female Vocalist of 2012" for SPGMA, to learn more about the awards show and the nominees, visit, www.spbgma.com/level2/natnom2012.html . If Valerie should receive the reward, she unfortunately will not be attending this year's events due to her recording schedule in Florida.